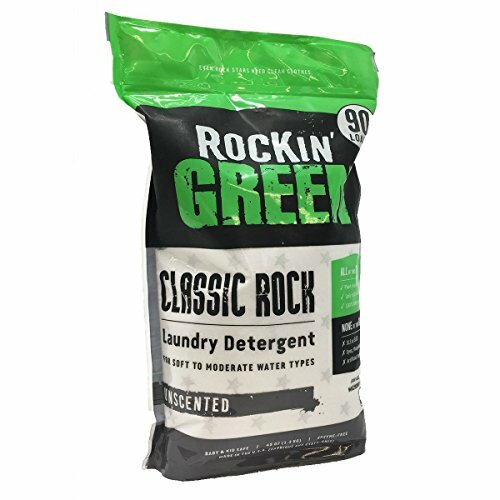 NEW PACKAGING, STILL THE BEST LAUNDRY SOAP - Gentle yet powerful, Rockin' Green Classic Rock Laundry Detergent is a safe, strong, plant-based clean rinsing natural detergent for people with soft to moderate water. 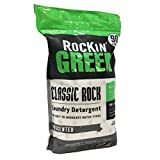 Great for weekly basics, bedding or as a cloth diaper detergent. JOIN THE ROCKIN' FAMILY - We can all do our part to make the Earth a better place - we do ours by rockin' the clean so YOU can rock the green!